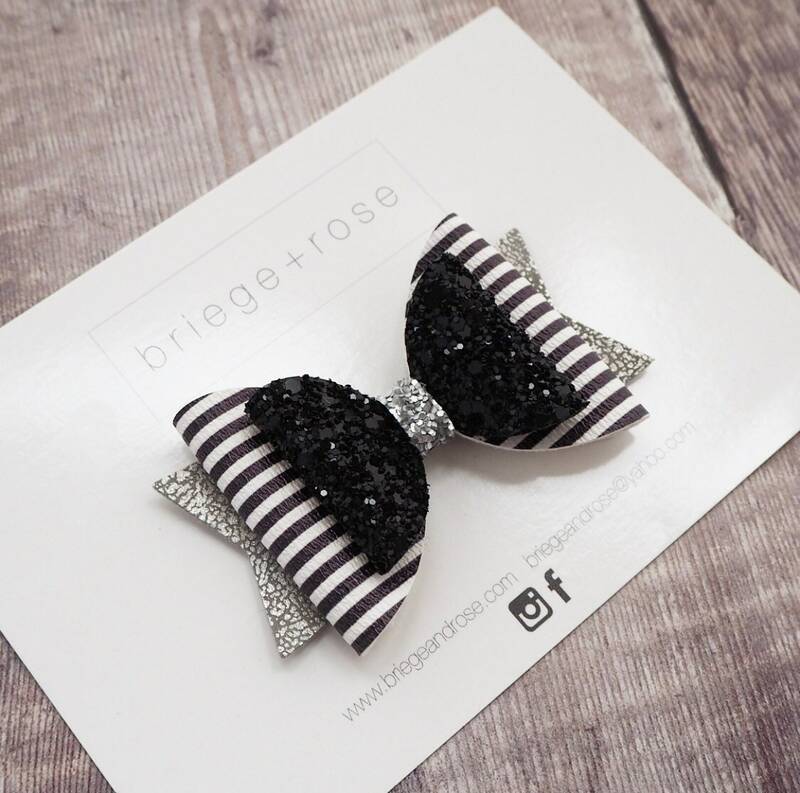 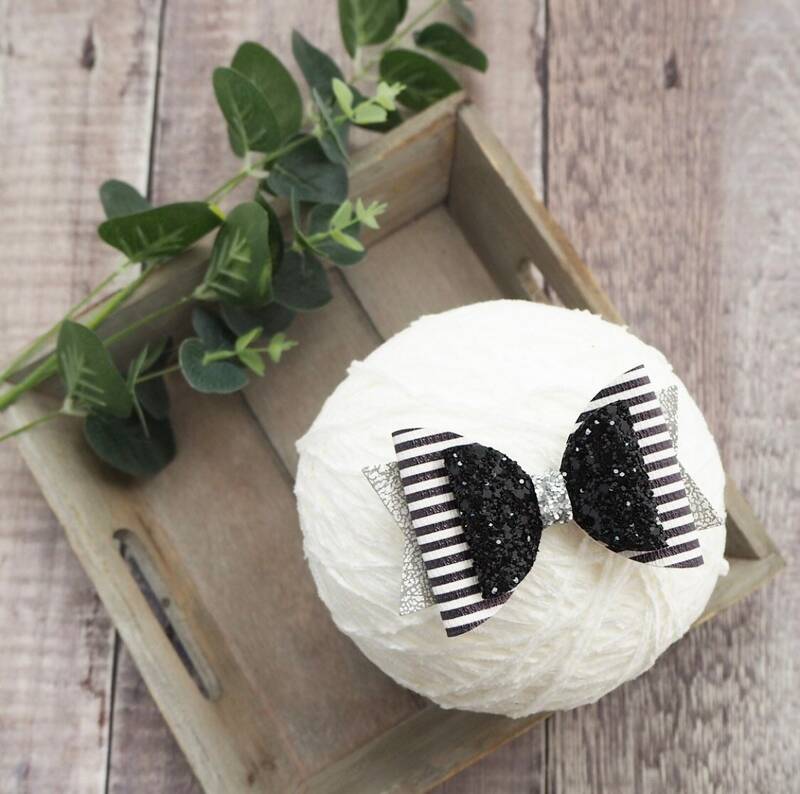 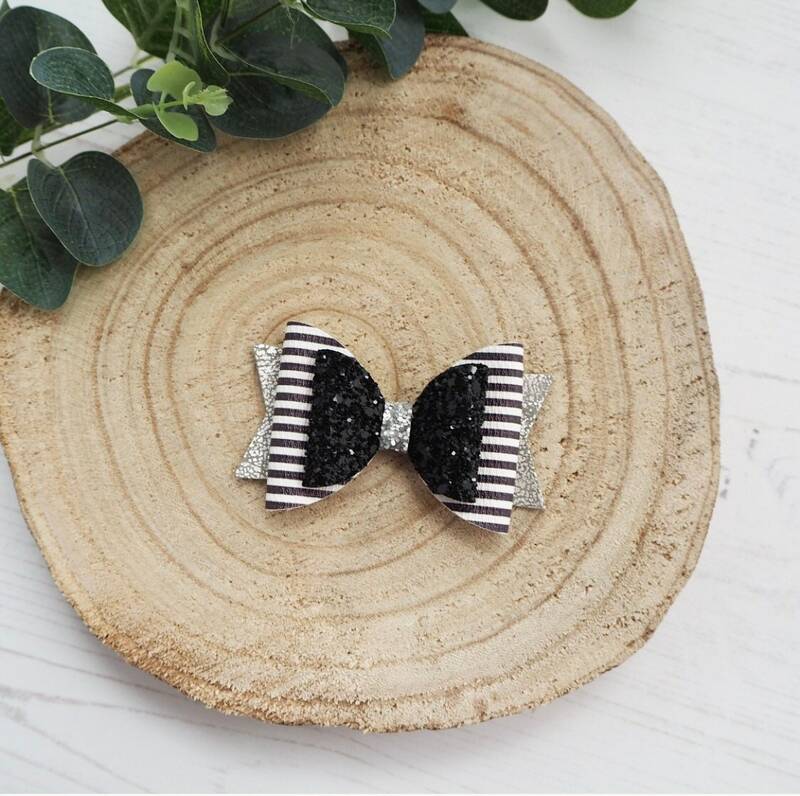 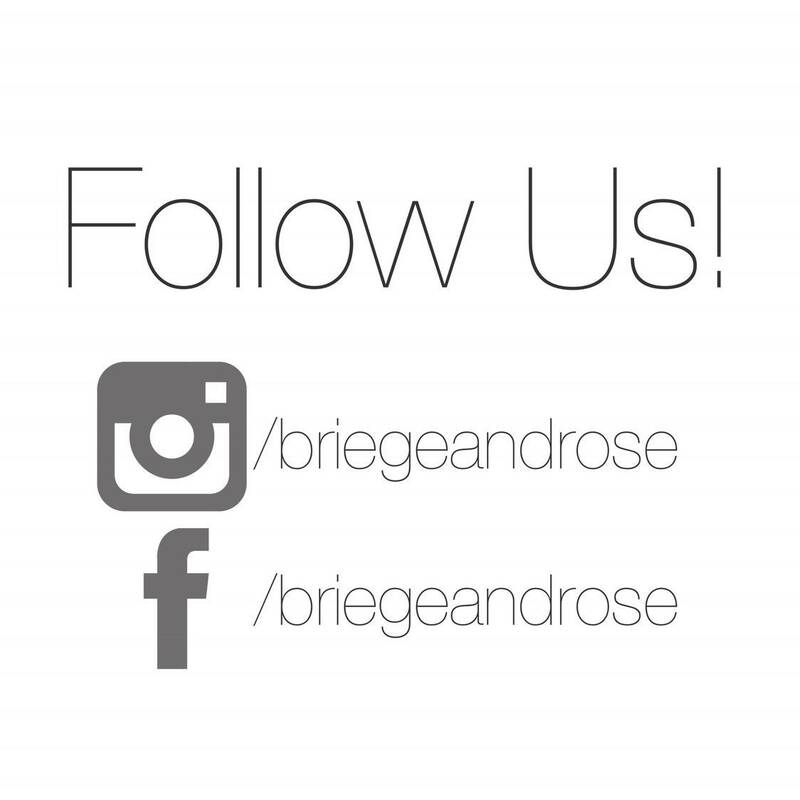 Our gorgeous Belle shaped bow in humbug black and white faux leather and chunky black glitter. 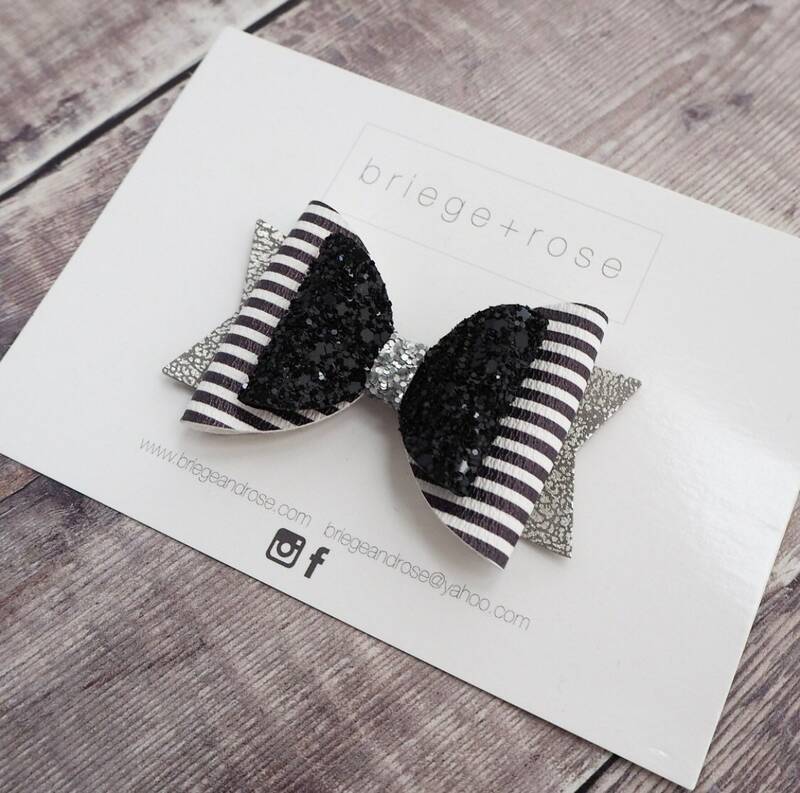 Teamed with silver marbled tails this bow is stunning and fit for a party princess! 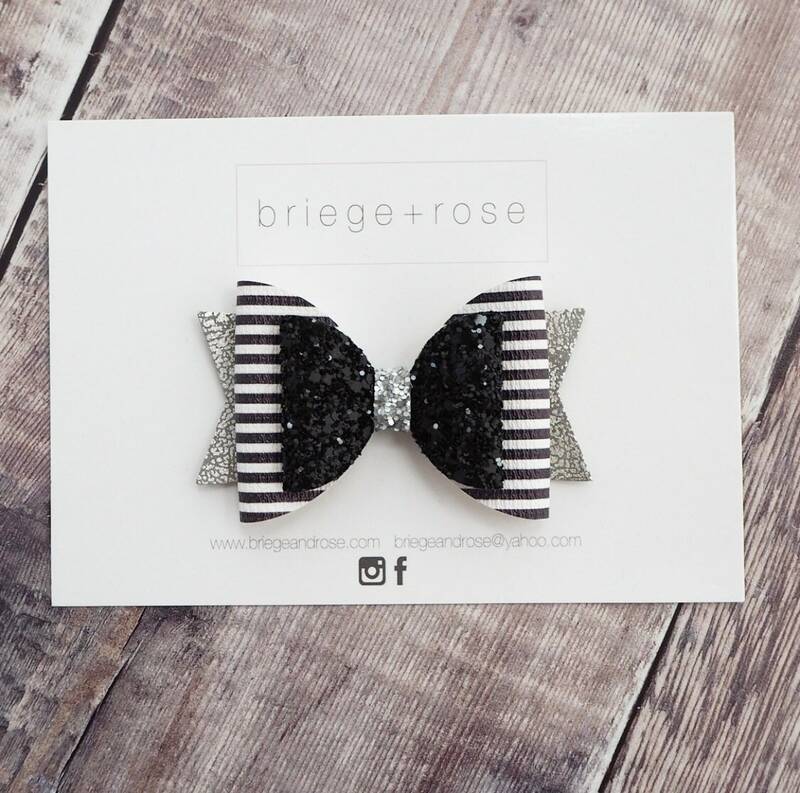 Approx 3.25"